This is the Ultimate Guide to Sandpaper Grits. It’s everything you need to know about the most common grits, and what you can do with each. If you want to know more about sandpaper, this is your guide. 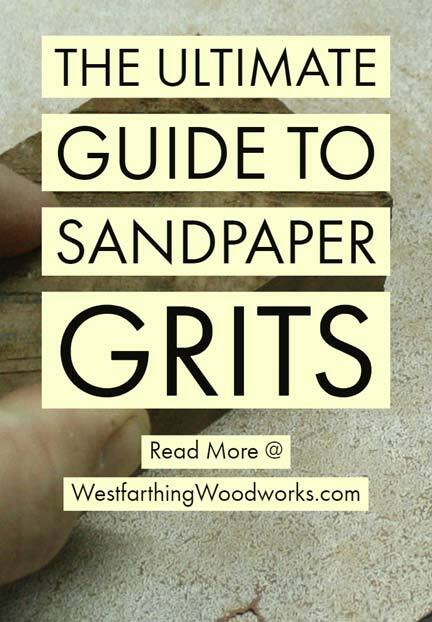 Enjoy this easy sandpaper grits chart too! As a new woodworker, sandpaper grits can be a little tough to comprehend. After all, how smooth or rough is the number 220? Since there really isn’t much more of an objective way of explaining the roughness, numbers are the best solution. 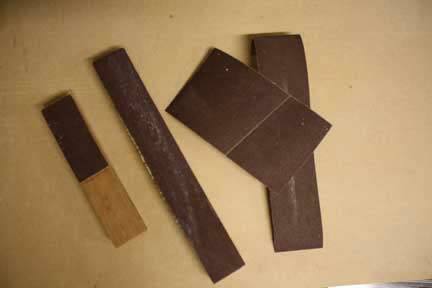 Sandpaper and other abrasive materials made from a paper backing and abrasive particles that are stuck to the surface. These can be made from many materials but aluminum oxide and silicon carbide are very common. The paper is graded by number, and the size of the particles is called grit. The higher grit number particles are smaller. The lower grit numbers are bigger. This means a lower number will be more aggressive, and a higher number less aggressive. The absolute best way to understand the difference sandpaper grits is to just get a sample of them and bring them into your shop. Nothing beats the tactile response of working with the material yourself and coming up with your own opinion of how it works for your specific needs. 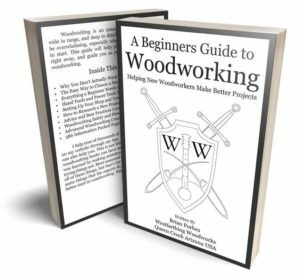 This is perfect for getting a well rounded understanding of what the different grades are used for, and how they can serve you in your shop. 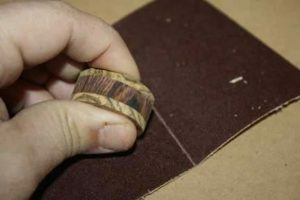 The next step you need to take after that is to go to a woodworking store and purchase several different types of sandpaper, and actually start working with them. 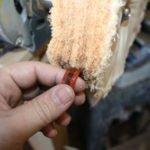 Avoid the most and the least expensive sandpaper in the beginning. Buy small packages at first, until you know what you like and need. Avoid a lot of hassle by getting the four grits I recommend in the next section. Look for deals on sandpaper once you know what you need. The prices vary a lot. Keep your sandpaper separated so you stay organized and know what you have. Bulk packs save money too, but wait until after you experiment. 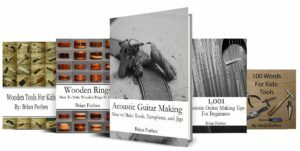 It won’t take you very long to discover which ones are your favorite, which ones are a little redundant for your type of projects, and which ones you can’t live without. At that time too, you’ll have a much better understanding of sandpaper grits and what they really mean for your projects. 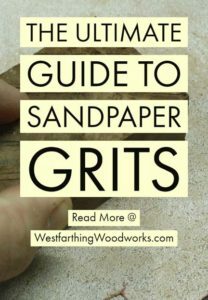 Before we get into each individual grit and what they do, here is an overview of some of the most common sandpaper grits for woodworking. 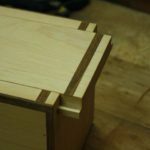 This is a general list for most woodworkers, and of course there will be outliers that will beyond this list. However, for the overwhelming majority woodworkers this is a very good starting point. I recommend that you start with 80, 150, 220, and 320 grit papers. This is a really good cross-section of the different grits, and these four papers alone will take you a very long way. The 80 grit is great for evening out surfaces and powering through material very quickly. The 150 is good for smoothing out the scratches from the 80, but still aggressively removing material. 220 is your first smoothing grit, and then 320 is great for removing nearly all visible scratches. This combination will take care of the vast majority of your sanding needs, and the best part is that these grit levels of sandpaper are very common. You can find them in any store that sells woodworking stuff, and online too. Wood finishing is a little different than woodworking when it comes to sandpaper grit, and in general the grits that you use are going to be finer. This is because at the point where you’re finishing a project, you’re already dealing with a smoother surface. For wood finishing, 220, 320, and 400 are going to be your primary grades of paper. For many finishes, you never have to take the wood surface past 220 grit sandpaper in order to make it acceptable for a finish. 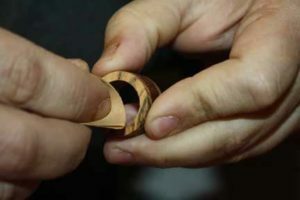 Some cases do require more, but a lot of finishes take several coats, and a finer surface doesn’t necessarily mean a better finish. This is a little different than when you’re working on an actual finish its self, instead of applying it. In this case you may need to wet sand in order to remove defects if the finish has already been applied, and this is where 400 grit and 320 grit shine. Most of the time, 400 grit paper is going to be perfect when wet, and will power through any defects in a clear finish. 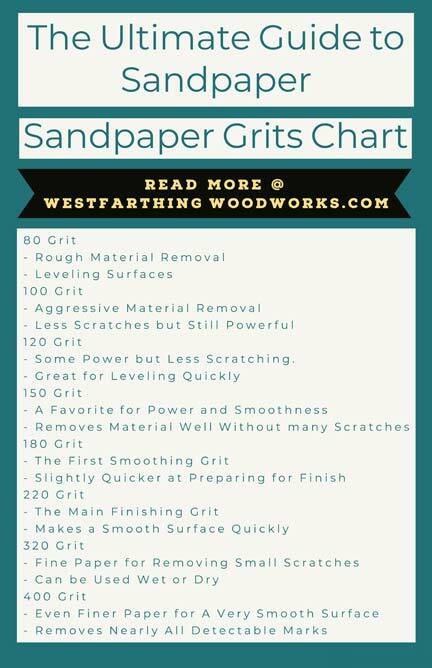 Now that we’ve gone through the most common uses for the different sandpaper grades, at least as they pertain to woodworking and wood finishing, it’s time to dive deep into each specific grit. Here is the list so that way you can see what’s coming, and each one of them will be explained in detail. Again, if you want the quick version, just grab the grits mentioned above depending on whether you are finishing, or doing general woodworking. For most applications, 80 grit sandpaper is going to be about the roughest that you would ever want to use. There are rougher grits available, but unless you were doing some very intense material removal, they are going to leave behind too many scratches. The goal of using coarse sandpaper is to remove material quickly, but you also need to think about the surface you’re leaving behind. After all, a chainsaw would remove material quickly as well, but it would take a long time to make smooth again. 80 grit paper is a very good compromise grit especially, over the ones that are very aggressive. If you have surfaces that are uneven, large defects, large dents, or anything of that nature, then 80 grit sandpaper is perfect for the job. 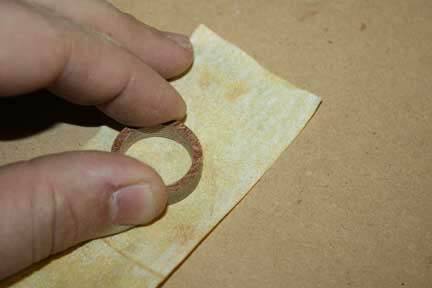 Simply wrap a piece around the sanding block, and then start sanding the area. You will notice very quickly how the area improves, and that you create a lot of sanding dust. This is because 80 grit sandpaper is much better at removing material than finer grits. This sandpaper is also good any time two surfaces are not quite flush, and you need to make them even. It does leave a fair amount of scratches, but the trade-off is a lot less time spent sanding. On most power sanders and belt sanders, 80 grit is the most common grit. It’s great for removing material quickly, especially with power tools. I really like 100 grit sandpaper, because it still has some aggression with the coarseness, but it’s not quite as coarse as the 80 grit. This sandpaper will remove material quickly, but not leave the same type of scratches, which can be beneficial. 100 grit sandpaper is also a little easier to bend around a sanding block without breaking, and that flexibility is nice on curves as well. There is not a huge difference in aggression between the two grits, the difference in 100 grit is the smoother surface. When you have a situation where you do need to remove some materials, but you don’t necessarily need to remove a lot, then 100 grit sandpaper is a good choice. You will love how quickly your surface changes, but you will also love that there aren’t a ton of deep scratches to remove later. The next finest grade of sandpaper after 100, is 120. Moving down the line, this paper is good for times when you have to remove a little material, but you really don’t need anything that’s too tough. A nice piece of 120 grit sandpaper can be a perfect medium grit for a lot of different applications. For example, if you are rounding over corners, and breaking sharp edges, 120 can be great for this purpose. It’s coarse enough that it will get the job done quickly, but not so course that it will leave drastic marks on the wood. Lots of people love to use 120 on surfaces that require a little bit more work than would be needed by 220, but definitely nowhere near the work that would be required by 80. You will still be able to change the surface rapidly, but not as drastically as the more coarse grits. This is my favorite intermediate grit level, and one of the most versatile. Many times, right after using 80 or 100 grit, you can jump right to 150 and smooth out a surface rapidly. This helps you get through the grits a lot faster. 150 sandpaper is not going to remove material nearly as aggressively as the more coarse grits, but it’s a much faster alternative than finer paper. On a really bad surface, you would spend way too long with this grit. However, on a surface that needs to have scratches removed, or minor defects removed, 150 grit sandpaper is perfect. It wraps around the sanding block nicely, and doesn’t crack like other sandpaper would. If you don’t already use 150 grit paper in your shop, I strongly recommend it. 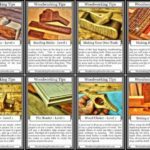 You will find a ton of uses for the sandpaper, and all you need to do to discover them is have it available in the shop. That’s one of the secrets to discovering new uses for things, and that’s to just bring it into the shop. The mere fact that it’s there will allow you to experiment, and use it when you think you’ll need it. Get the stuff in the shop, and you’ve already won a good chunk of the battle. Depending on where you are, and what you’re comfortable with, 180 grit or 220 grit are considered the first smoothing grits of sandpaper. Both leave a very good surface behind, but 180 edges out the victory when it comes to speed. 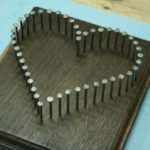 You shouldn’t judge your woodworking projects based on how fast you can get them done, but a little extra speed for the same amount of effort and energy is always appreciated. When you’re ready to get a surface prepared for finishing, 180 is a good choice. In many places around the world this is considered to be the last grade before applying the finish. In most cases this works, but sometimes you may see some minor scratches. This is where sanding down to at least 220 before applying a finish could make a difference. This is the most common finishing grit of sandpaper, and is typically used as your last step on bare wood. The surface that’s left behind by 220 grit sandpaper is very smooth, and nearly scratch free and most cases. If you’re about to apply finish, sand your piece down to 220 and see what it looks like. If you don’t have any more scratches on the surface that you can see with the naked eye, then you’re most likely ready for the finish. This is also a great sandpaper grit for bringing a piece flush to a surface that you started with a more coarse grit of paper. The combination of finer grit and sanding power will help bring the inlay down to level with the surface. It also removes the scratches from the other paper at the same time. This is a double win for you, because you had to do the same amount of work anyway. Now, instead of having to reduce the level of the surface and remove the scratches, you get to do those in one shot. Whenever you can get the same amount of effort but twice results, you win. In most light sanding situations, 220 grit is going to be the one that works the best. It’s strong enough to remove scratches, but it’s also smooth enough that the surface will still look very good after being sanded. This is the first of what I would consider the fine grits. When you sand with 320, the goal is to remove any final scratches from the previous work. The other goal is to create surface that is exceptionally smooth. This particular grade sandpaper is very good at producing a smooth surface, without a scratch in sight. When you get into this kind of work, the progress will be much slower but the results will be very good in the end. Don’t expect the sanding process to be quick with 320 grit sandpaper. You can actually feel like you’re not getting anywhere at first, but you are. Take your time, and make a surface you can be proud of. The next and final step in the common sandpaper grit is 400 grit. This will be as high as I would recommend going on the average project. Though in reality you can stop at 220 in most cases. The 400 grit picks up where 320 leaves off. As a final way of knowing that you took out every last scratch on a project, use 400 grit sandpaper with the grain. This will produce a surface that you can be extremely proud of, and that feels very smooth. Once you’re done with the 320, the 400 should not take nearly as long assuming as you did the job well enough with the previous paper. At this point any scratches on your project should be very difficult to see, so you will wrap pretty quickly. Anything beyond 400 grit is what many would consider very fine sandpaper. While the average woodworker won’t use this paper very often, it still has a use. Most of the time, this paper is used on materials other than wood. 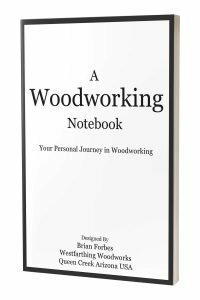 Just because you’re a woodworker does not mean that you won’t encounter other materials, and that’s totally normal. 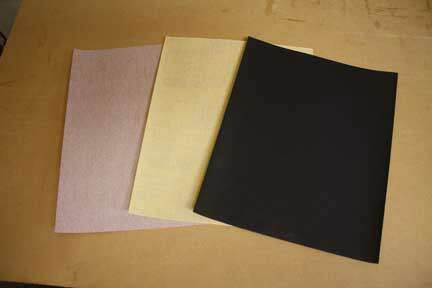 For example, if you were working with plastic or acrylic, you may need these very fine papers to create a scratch free surface. In this case, feel free to use as fine of grit as you need. Sandpaper grit can go well into the 2000s and beyond. These very fine papers have special uses, and when you need them they help you create the results are looking for. Taking find sandpaper step further, there are also polishing pads. These are pretty fun to look at because they say they have a grit level but some of these are smoother than your own skin, so it’s hard to believe that they can actually sand a surface. These papers are typically used in polishing operations, when you need to make a piece of plastic or other material so glossy that it looks wet. In a case like this, you need to get into extremely fine polishing grits to do the job. 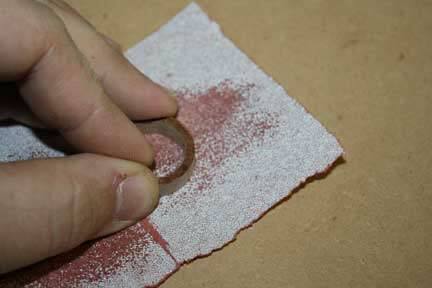 Unless you are polishing something, you may never use this type of sandpaper. It’s important to know that it exists though just in case you ever need it. They are sold in a lot of different ways, but they typically come in a package with several different grits on pads. Now that you know a lot about the different grits of sandpaper, it’s important to learn one final thing about sandpaper in general. Not all some papers are the same. Like most other things in life, you get what you pay for. There are places that you can buy very cheap sandpaper. Some of them may be good, but the majority of them are not. If you find a good place, feel free to share with the group and we can all benefit from your source. That being said, if you were going to try a paper that is inexpensive, try a small batch first. This way, if the sandpaper is awful, you will not be stuck with a huge pile. After all, useless cheap sandpaper is not a savings at all. Another way to go is just buy sandpaper that is middle of the road. You can do really well with the name brand that you recognize, and won’t have to spend a ton of money either. Now that you fully understand how sandpaper grits work, you need to have some practical knowledge to reinforce the academic learning. The way you get that is by buying some sandpaper. 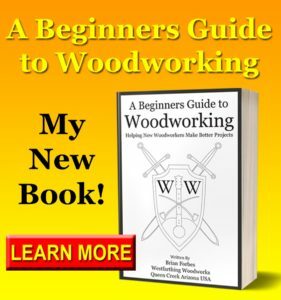 Go back to the woodworking section in the beginning and buy the four grits that I recommend you start with. 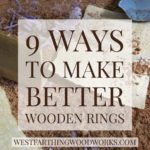 Get these in your shop and experiment and different types of wood. The goal of these experiments was to see what the different grit levels do. Work with them and pay attention to the results. Sand with the grain, sealed against the grain, and noticed the differences. Try to change grades by skipping some or going back-and-forth. The more you can do understand the material, the better. Make it a point to spend enough time with each paper that you understand how effectively it removes material. In the end, that is the job of sandpaper. Once you understand that, it will make you a much better sander and consequently a much better woodworker.